If you are in a year round farmers market like I am, you have the opportunity to fill your stocking with some extra Christmas cash. Markets have gotten much more sophisticated about attracting additional shoppers at this time of year, those who want gifts that are craftsy, not made in China. 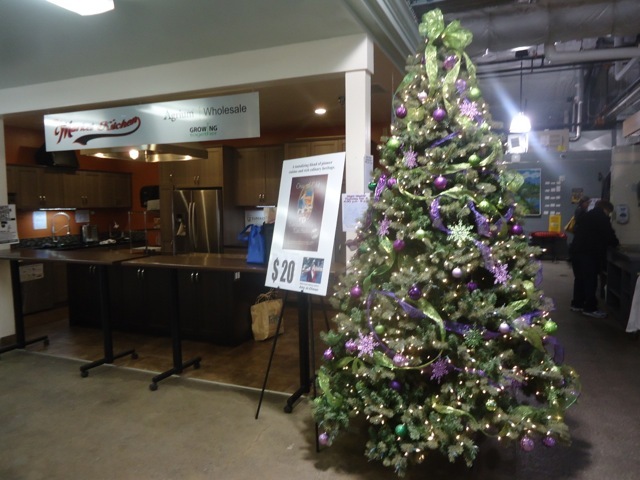 The Saskatoon Farmers Market promotes itself as a go-to destination for the holidays, with special events like a Gingerbread House contest (“all team sizes and ages welcome”). This year a special night market in early December became a much anticipated event , and the Dinner in the Dark, that laid out a farmers’ market sourced meal served under gradually dimming light and culminating with dessert in total darkness, sold out weeks in advance. It’s fun and lucrative to play Santa. 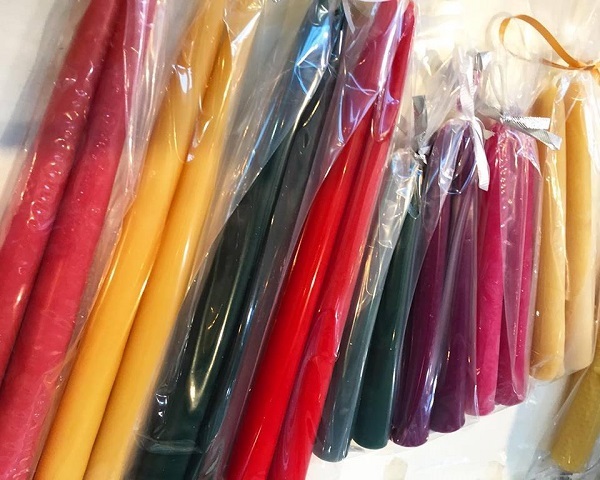 Handmade candles, soaps, baked goods, basically any non-produce item will sell, if you put a ribbon around it. To give you a flavor of our market this time of year, come along with Gail and I on a behind the scenes tour of this year’s holiday market. Year round indoor markets are in the unique position to capture extra sales at the holidays by attracting gift shoppers. But as a vendor you need to step up your game in terms of product offerings. Decorating the tree has become a yearly ritual for vendors. We put forth a team effort and bond over some spiked hot cocoa. This tree is not local, and it’s not even alive. When it comes to marketing, we do what’s practical. Bakers really cash in. Platters of homemade cookies can go for as much as $50. Sometimes people gift themselves. At this time of year, you don’t have to twist any arms. Candles are another sure bet. Diversifying your produce operation with value added items like these eliminates the hassle of having to have a commercial kitchen. Another sure bet, tried and tested for several years by Gail. Bird feeder gifts are always the right size and color. 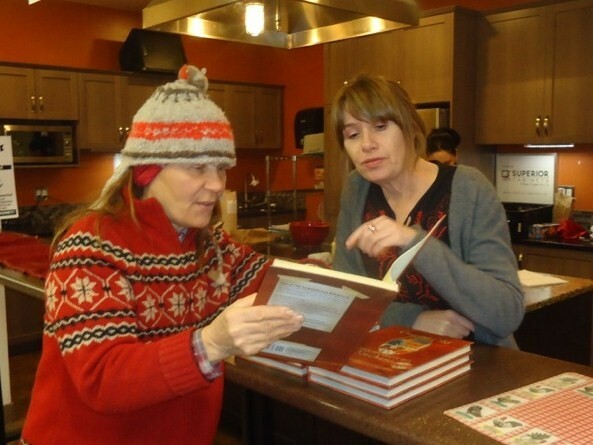 A book signed by the author is a very personal gift. One you won’t get from a big box store. And whenever you are looking for a gift that is 100% pure how-to, always keep in mind a SPIN guide. Even outside events draw crowds. 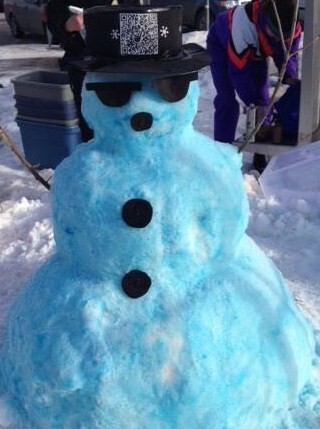 HAVE A COOL YULE EVERYBODY! 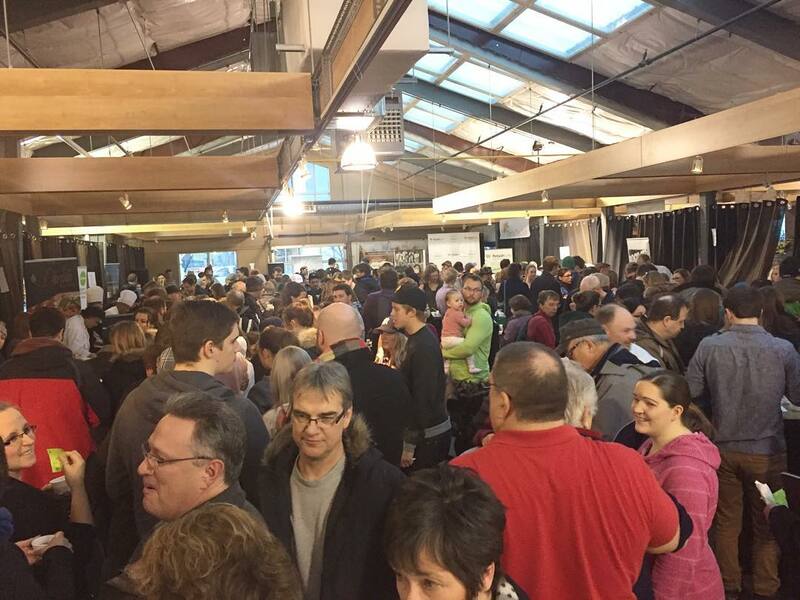 Here in Saskatoon, our winter market is becoming a destination spot. That’s because we’ve learned over the years how to really make the most of this season, and because we have partnered with big ag on an event called WinterShines. 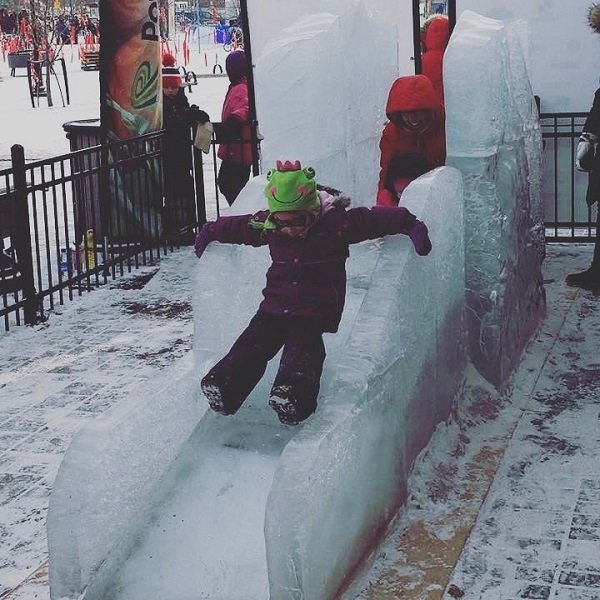 The market provides the venue and hosts inside and outside activities like sleigh and pony rides, ice games, snow park rides and scavenger hunt, igloo art gallery, world class ice sculptures, soup cook off competitions, indie bands and lots of booze, locally brewed and distilled, of course. Think Disney on Ice crossed with South by Southwest, all packed inside and outside the Saskatoon Farmers Market. WinterShines’ main corporate sponsor is the world’s largest fertilizer company, which happens to be headquartered right here in Saskatoon – Potash Corp. The event pulls in around 10,000 visitors and spans nine days, including two weekends and weekdays. 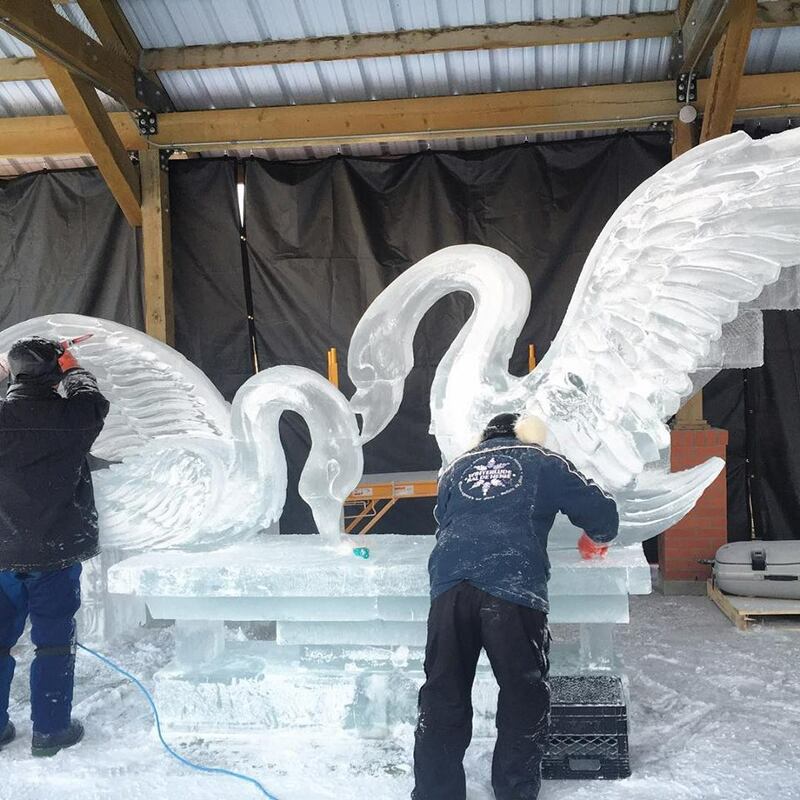 It is produced by a professional event planning company, and there are a lot of other important players involved in making the event happen, including the city’s tourism agency. The market stays open extra hours on Saturday and Sunday for the event’s concerts. In the early years many of the vendors kept their regular market hours and skipped the evening crowds. But they slowly wised up to the opportunity of capturing some of these new visitors as regular customers, and now the majority of them stay for the extended hours. So everyone is happy. 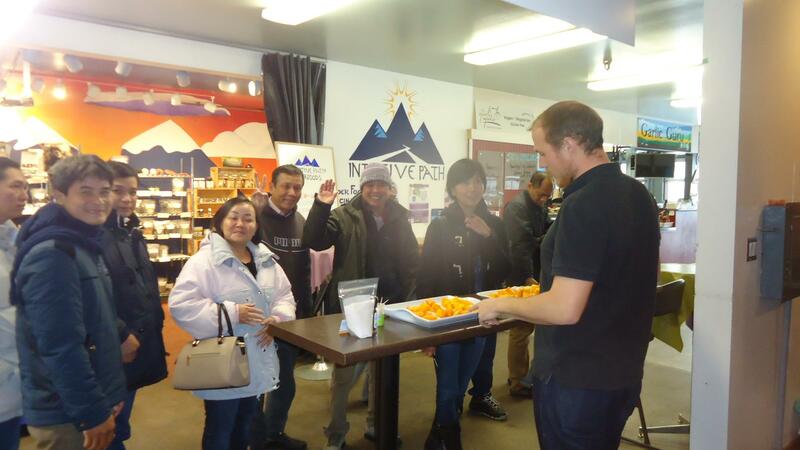 Potash Corp, gets to have positive involvement in the community, the market raises its profile far beyond its own neighborhood, and I get some of the thrills of a winter vacation, without having to close my business or leave town. Just goes to show that good food and fun can be provided by ag businesses of all sizes. The Saskatoon Market is in the middle of lots of new development, including new condos and a Whole Foods. Here’s how Wally is assessing the opportunity. 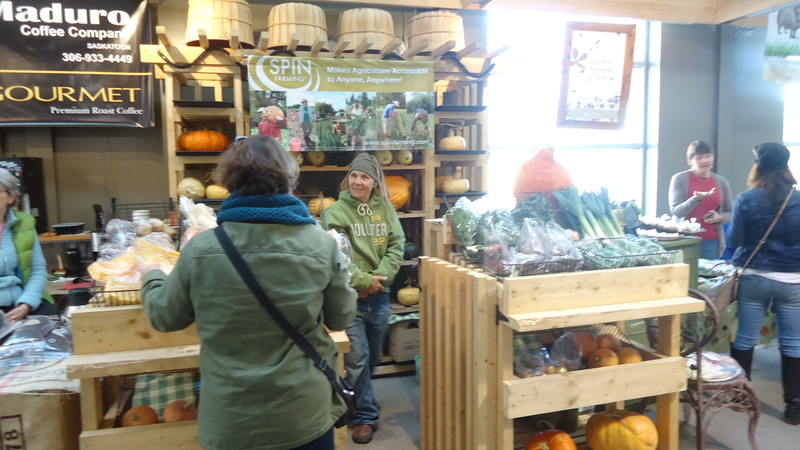 Specialty produce is what sets SPIN farmers apart at market, but it requires a well thought-through marketing strategy. Take the potato. A “staple” that can be picked up in any supermarket, it is a low-value crop. 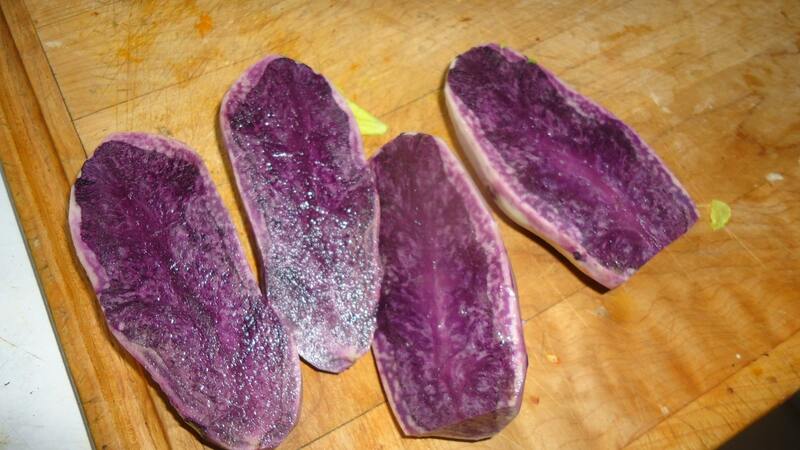 I sell purple potatoes which aren’t yet widely available in supermarkets and try to turn it into a high value crop. Adventurous eaters will try anything, and once they do they are pretty loyal purchasers of exotic crops. But they are a not a very big market. To sell the non-early adopters takes some effort. Since everyone knows what a potato is, it is not as tough a sell as if you were introducing an entirely novel crop like kohlrabi. 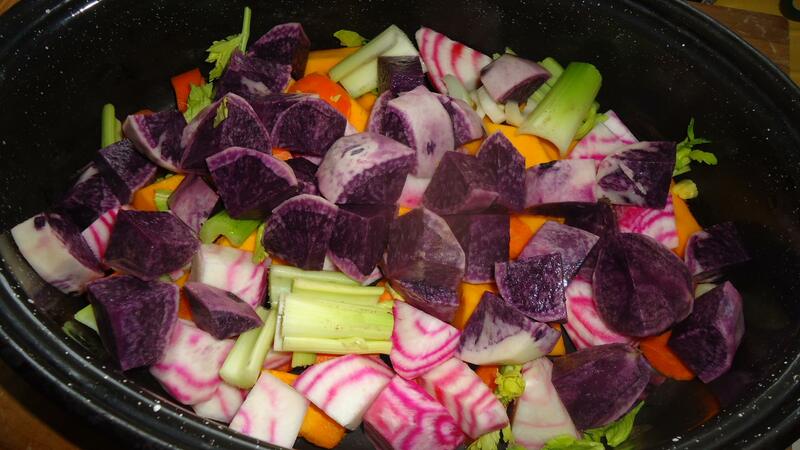 I start by explaining that purple potatoes go way beyond regular white fleshed ones in their anti-oxidant value. Having a print out of their history, such as their origin in Peru, makes for a good story. What you attempt to do is connect people with the story of a particular produce item. They all have a story, so in essence you become a story teller at market. Doing research online is a no brainer nowadays, so it is easy to research each of your crops and do printouts you can give to your customers, or do your own. For instance, this link to has lots of intriguing information, even which trendy restaurants are serving them. While a big consumer focus today is on the health benefits of food, we can’t forget taste. That’s why you need to be cooking with your own produce, so you can give convincing first-hand accounts based on your own experience. You can display photos of your dishes at market. Visual appeal is something you can really play up, especially during the drab winter months. 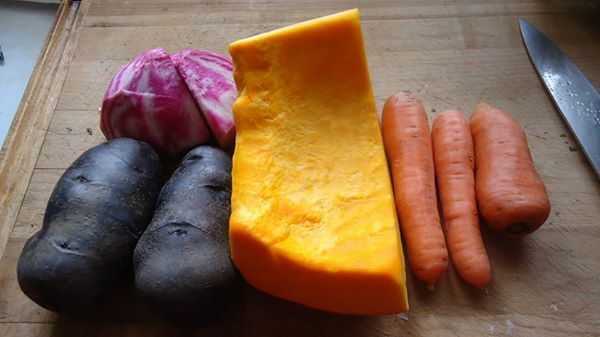 I cut open the purple potato and display it with other crops. They are a stand magnet and also create upsell opportunities using SPIN’s mix-and-match multiple unit pricing. With increased consumer demand, more marketing opportunities and a wider array of crops and varieties to grow, there is no reason to regard winter as an off-season any more. Tell your customers that instead of going to their doctor or their travel agents, they can come to you for a cure for their winter blahs. You might have been hearing that marketing is becoming much more experiential. At the farmer’s market this means participating in onsite cooking demos. 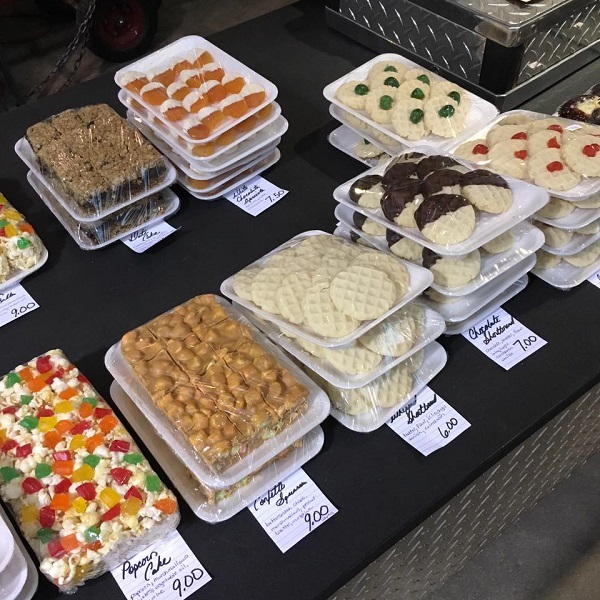 Farmers showcase their offerings by preparing them and giving out free samples. 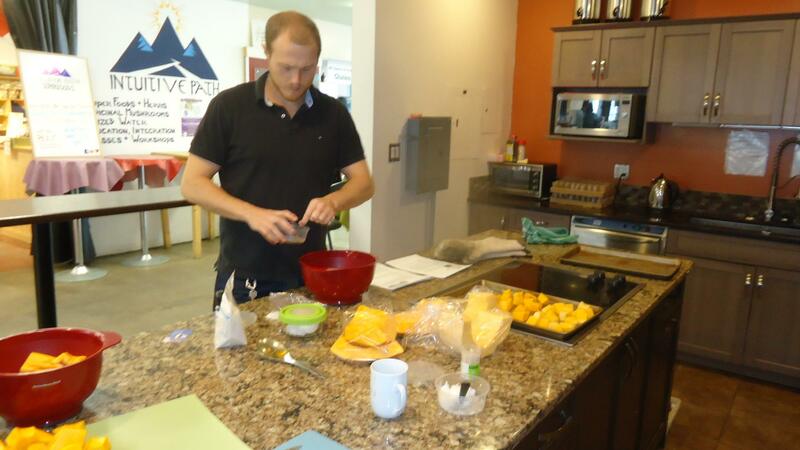 My intern Bryon Hall roasted squash this weekend, using coconut oil, salt, and pepper supplied by another market vendor Intuitive Path SuperFoods. Bryon enthusiastically pointed out the taste profiles of the different types of heirloom squash I am growing now – Australian Butter, Boston Marrow, and Jumbo Pink Banana, and their suitability for different cooking applications. Some people are familiar with the classic Butternut, but I can’t grow it well here. I am finding customers are more than willing to transition to the trendy heirloom types. Once Bryon got everyone excited, he pointed them towards my stand where they can buy pre-cut slices – $3.00 each or 2 for $5.00. Mix and match multiple unit pricing works like a charm and slices are much easier for customers to buy and use. Adding this convenience factor also allows for higher pricing. Sampling doubled our squash sales this weekend, with many customers buying more than one kind of squash. 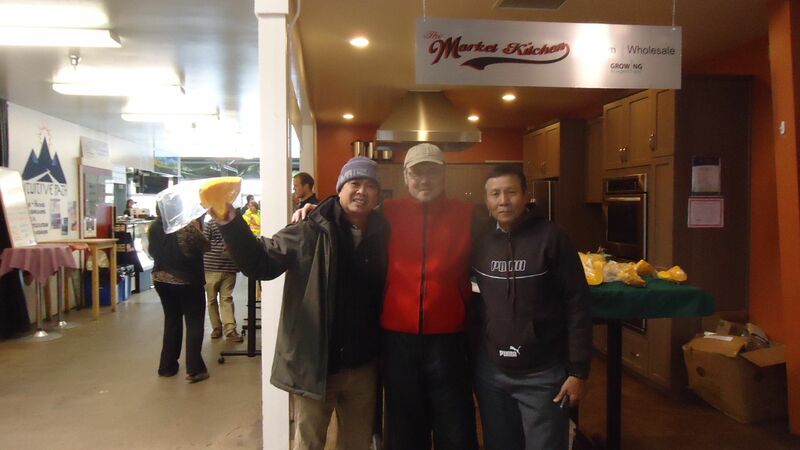 It brought new customers as well, including some visitors from Asia. Sampling can be done for many different types of produce. You can’t do it on the Internet, and that’s really why it works so well. 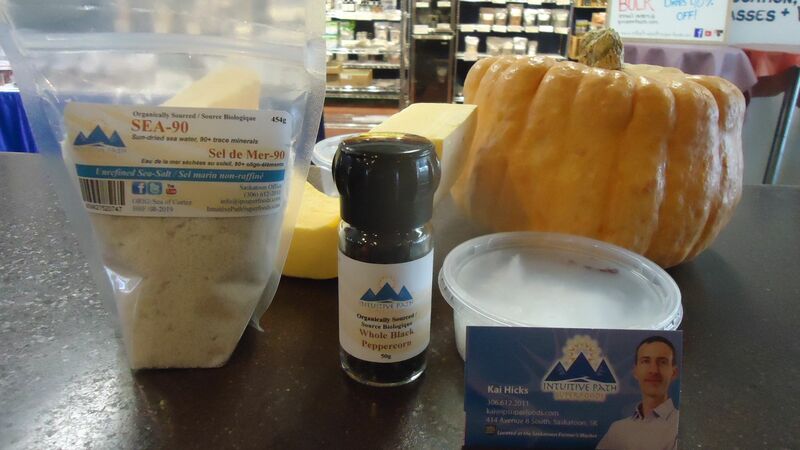 Over the last two weekends at the Saturday farmers market I learned creative ways to increase exposure and sales. The first one was the transition from being an outdoor vendor to an indoor vendor. 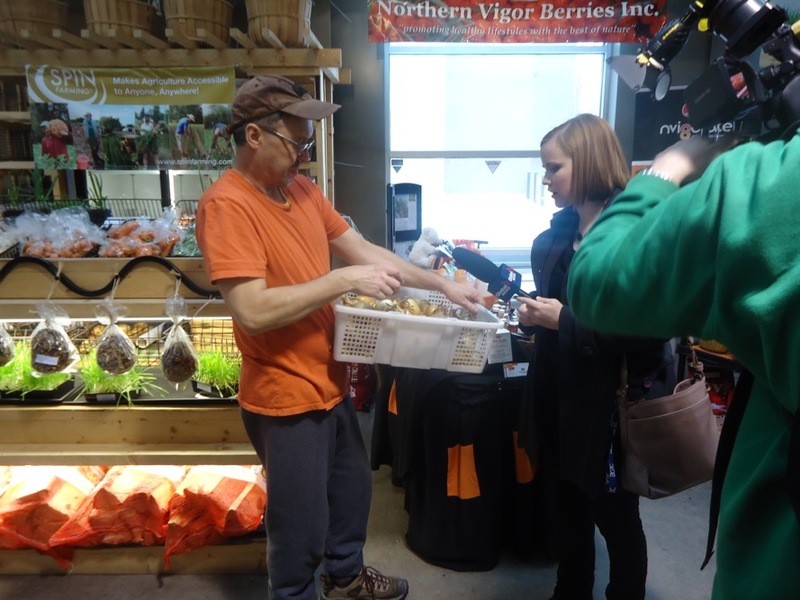 The challenge was notifying as many customers as possible that Wally’s Urban Market Garden would continue selling indoors throughout the fall and winter. Leading up to this weekend, we mentioned this to customers at the outdoor stand. Last Saturday was the transition, where we set up a stand both indoors and outdoors. The satellite outdoor space cost an additional $15, but its sales quickly covered this expense. In addition to sales, we guided many customers inside to the indoor stand. This past Saturday happened to fall on Halloween! Not the regular market day for sure, and everyone had a good time. 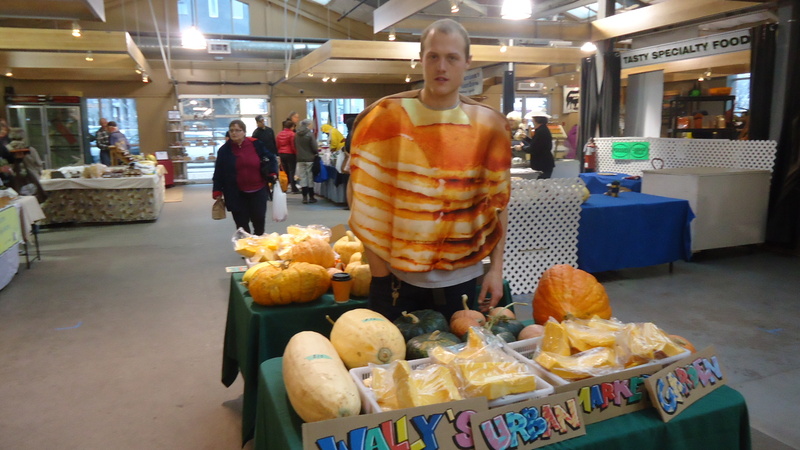 I was dressed as a stack of pancakes and was quite satisfied with the laughs I got. In addition to the permanent inside stand, our satellite stand this time consisted of a temporary pair of tables featuring many heirloom pumpkin and squash varieties. If some of you out there grow or plan to grow unique pumpkin/squash (esp. large ones) you should sell of slices using SPIN’s price tier structure. These work very well for customers who are curious but intimidated to commit to an entire pumpkin. Our Halloween pumpkin table could not have been timed better. Apparently the grocery stores in the city had sold out the day before and couldn’t restock due to an American crop failure in Illinois. 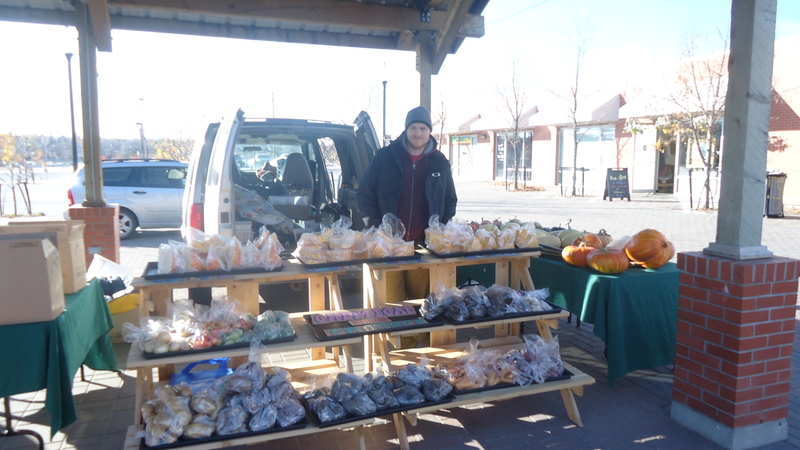 As soon as the market opened we had numerous people buying multiple pumpkins. Some of these were customers who had never shopped from us before. So splitting up and having multiple inside stands definitely increased our sales. The lesson I learned was to into get stuck in a rut with your farm stand, and always be looking for ways to change up your display and positioning, take advantage of seasonal trends, and be responsive to supply/demand issues. The more creative you are, the more people you reach. One of the mistakes I now see among SPIN farmers is they quit too soon. Once you get beyond the traditional end of season mentality you can add hundreds or thousands of dollars more, to your income, without much sweat. How? You’re probably thinking micros. Sure, they are a lucrative crop, and versatile. They can be grown indoors or outdoors. I actually find outdoor micros are more profitable once you consider the hassle factor of trayed indoor production. Pea shoots make the most money for me, and that’s all I grow now indoors. If you want a stretch goal you can target $1,000 a week by adding crops like beets and tomatoes. Restaurants, indoor farmer’s markets, institutions or a winter CSA are all good sales channels, especially the later the season gets, because there is less competition. You can consider it like an end of the year bonus you are giving yourself. How you use it is up to you. Splurge on an island vacation or maybe that new tiller you’ve had your eye on for a few years. 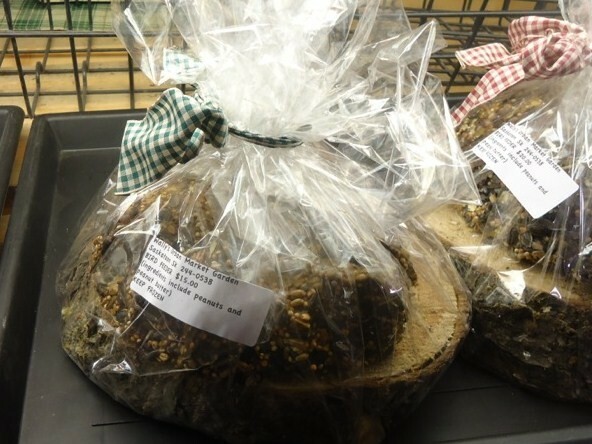 …fly off the shelves at the end of the season because fair weather farmers have packed it in. Food waste is turning into a big cause, and I had a reporter come by my farm stand this last week to interview me about it. SPIN farmers take great care to be sure all their crops are ready for their close-up, but she was scouting out the ugly kind, blemished, and not suitable for sale. So I showed her some examples of lower grade, spoiled produce. I explained that every week I typically get around 10 lbs. of cull carrots. Same with potatoes, beets, pumpkin, winter squash and onions. This could be due to harvest damage, which then causes the crop to go bad sooner, or it could also be due imperfect storage conditions in some of my storage area. What’s a SPIN farmer to do? Well, maybe we should borrow from the big boy’s playbook and try selling them. This type of product offering and positioning makes it possible to cater to people not willing or able to pay premium prices. If you’ve got an ugly carrot or a disfigured eggplant, you might just be looking at a new product line. In SPIN-Farming, every crop has to earn its keep, especially in winter. Onions need to make me at least $3 lb. I am not going to get that with the standard large onions that supermarkets offer. And I’m not going to get that from consumers looking to buy a 5 lb. bag for $3 twice a year. That’s why I grow cipollini onions. Here is a $30 order I am about to deliver to a high-profile local restaurant. It took me about 5 minutes to assemble this 10 lbs. bag. The chef is content with the price. 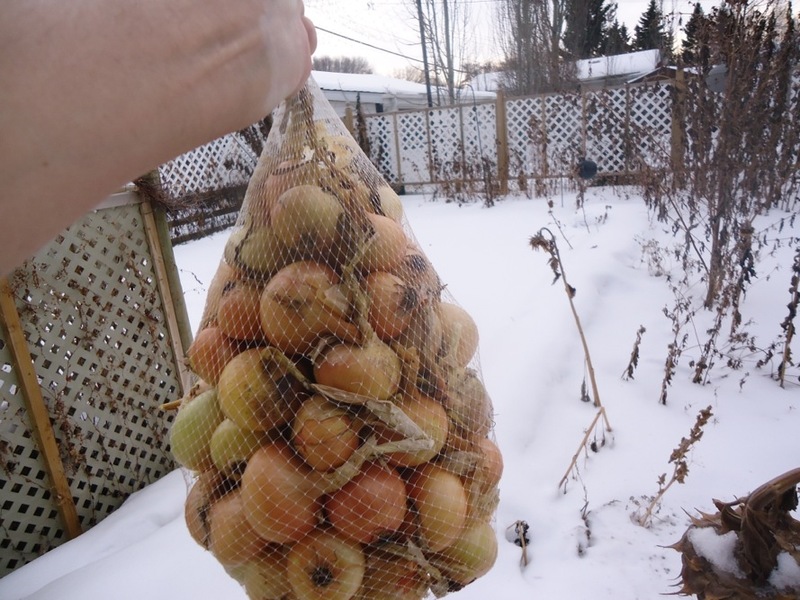 At the farmer’s market, I am the only one now with onions, and I keep them in the small to mid-size range, with 4 – 5 onions per bag, to differentiate them from supermarket fare. I sell 1/2 lb. bags at SPIN’s mix-and-match multiple unit pricing of $3.00 each, 2/$5.00, or any five items for 10. I expect to hold my prices at this type of level, and I have never had any one complain. Cipollini onions have a lot going for them. They are easy to plant, tend, harvest and store. These were from onion sets planted last May/June and harvested last fall, and I’ll have product for at least another two months. Compared to the supermarket, these are mighty expensive onions. But for those who aspire to serve 4 star restaurant meals at home, they’re worth every dollar. When people ask me what my favorite crop is, my answer is always the same. It’s whatever is selling best at market that week. Carrots are always among my best sellers, so I aim to have early carrots by the first week or two of July, and then have them to sell every week, right into the winter. But I change it up throughout the season, and even within the season. With so many varieties to choose from, that’s easy. Right now I have about 1,000 lbs. left in my cooler. It’s not a huge amount, but it’s enough to give me cash flow into March. These are the varieties, and each is guaranteed to bring a different type of customer. The purple carrots are an imperator type, Deep Purple, or Purple Rain. Their long roots make them difficult to harvest, but it’s worth it because customers come asking me for it. They appreciate its high nutritional value and consider it a super-food. 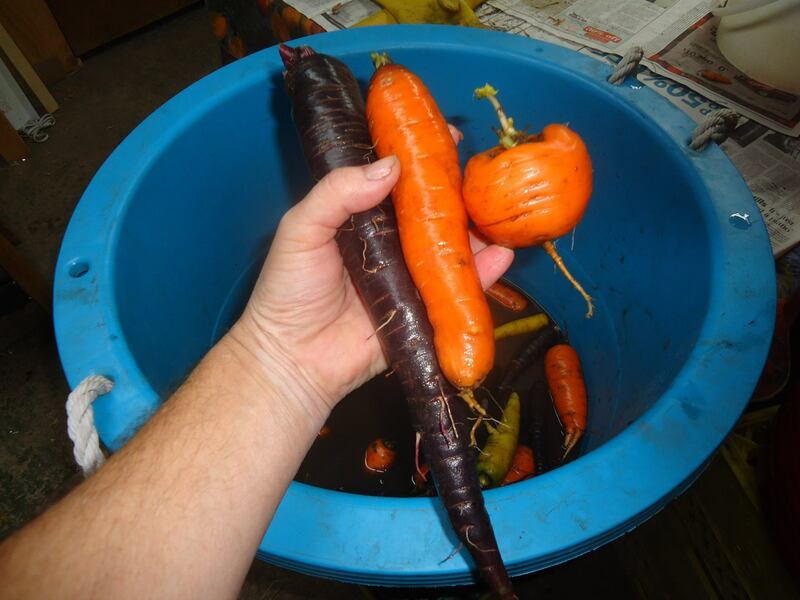 The middle carrot is Bolero, a Nantes type. It has good storage qualities. and is traditional looking, so it’s easy to market as a staple crop, good for cooking and kid’s snacks. The third one is the Paris Market carrot. It’s a good novelty carrot that has developed a cult following. It’s dense texture and intense flavor makes it ideal for stews and is favored by foodies. I have been offering it for several years, and many customers buy only this type. I will be making larger plantings of this type this year. This type an really distinguish you at market . Carrots come in all shapes and sizes, just like customers. The only trick is to match ’em up! Check out more tips on selling carrots in SPIN’s Dig Deeper guide # 4 on rainbow carrots. More and more consumers go to year round farmers markets so they can know where their food comes from, even in winter. What they find at my stand are storage crops, like beets, carrots and potatoes. 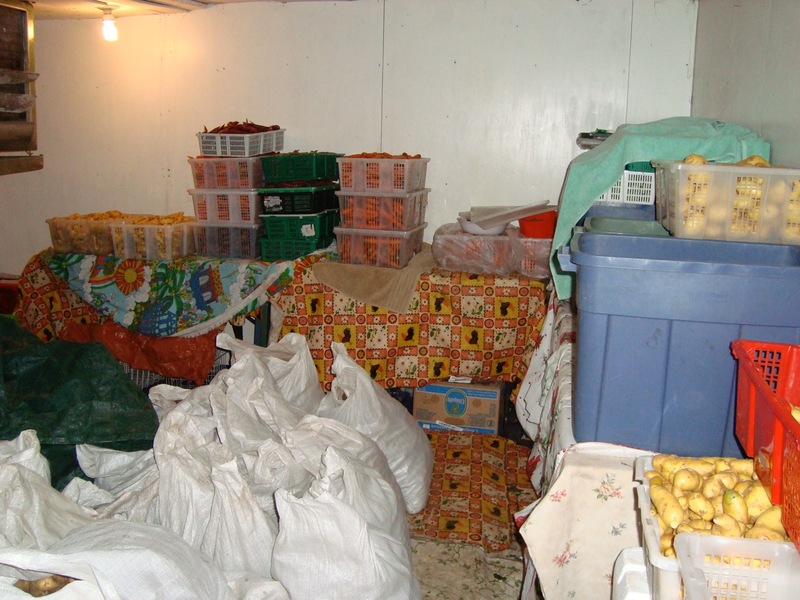 Part of the challenge of year round marketing of produce in cold weather winters is keeping your storage vegetables in good physical condition for several months. Just as in the summer, I take SPIN’s high road by using a cooler. Keeping it at the right storage temperature is key. My cooler is on average around 35 F, or few degrees above freezing celsius. It’s in my garage, along with a work area for prepping produce. I keep it in my garage, which is heated with a small plug in radiant space heater. The thermostat is set to 50 F.
A few nights ago it was -35 Celsius overnight. Just made a celsius to fahrenheit calculation and ironically this is the temperature where the two scales converge: -35 C is the same as -35 F. So I have to deal with the outdoor temperature, the garage temperature and cooler temperature. The heater keeps the garage at 50 F., but the question is how do I keep the cooler at the desired temperature? I find just partially opening the cooler door allows air to seep in from the garage, when it is very cold outside. When temperatures outside get warmer, I can shut off the heater for certain periods of time and close the door for the cooler. Right now the cooler temperature is 34 F, which is about optimal. 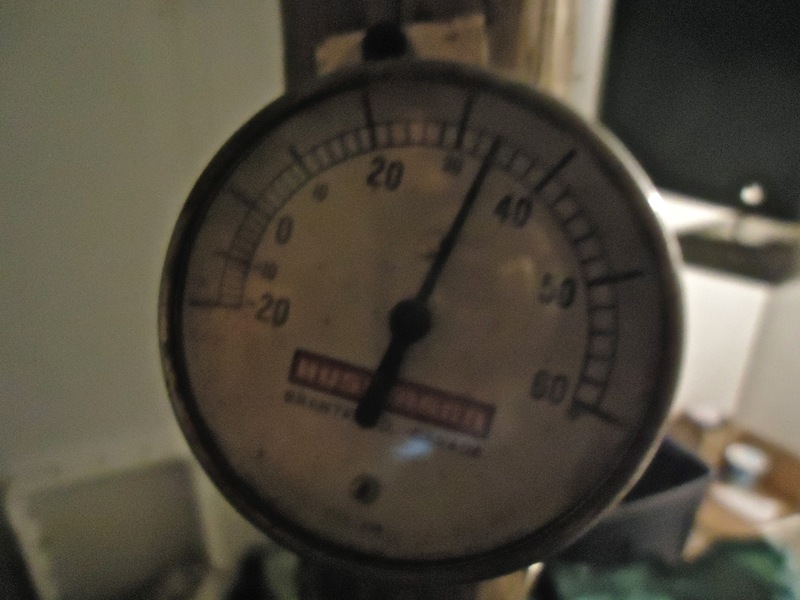 The aim is to keep it above freezing, and below 40 F.
This is not a high tech method for sure, but it works, as long as I keep an eye on things happening inside and outside. 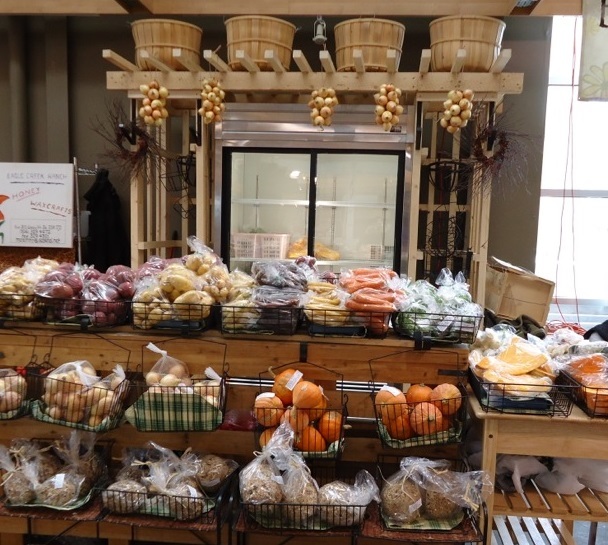 So you don’t need an elaborate setup to keep your farm stand stocked with the staples that keep your customers coming, and your cash flowing, when the snow is flying.